ABU DHABI, February 20. /TASS/. Russia has signed a large contact on the delivery of T-90MS main battle tanks to a Middle East country and plans to close a deal with another foreign customer soon, Russia’s Industry and Trade Minister Denis Manturov said on Monday. "A large-scale contract was signed with a Middle East country in December. Another contract on this type of military output is expected to be signed soon," the minister said at the IDEX-2017 international defense exhibition in Abu Dhabi, without specifying the country. 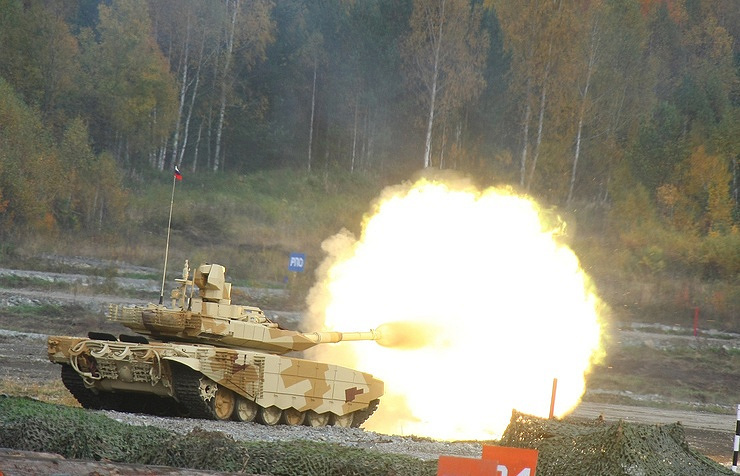 The T-90MS tank was tested over two years in several Mideast countries, the minister added. Deputy Director of Russia’s Federal Service for Military and Technical Cooperation Alexei Frolkin told TASS earlier on Monday that Russia was holding talks with some Mideast states on the sale of T-90MS tanks. Russia’s defense manufacturer Uralvagonzavod CEO Oleg Siyenko has said the T-90MS has large prospects on the Mideast arms market. The armored vehicle has successfully passed tests in Kuwait, he added.